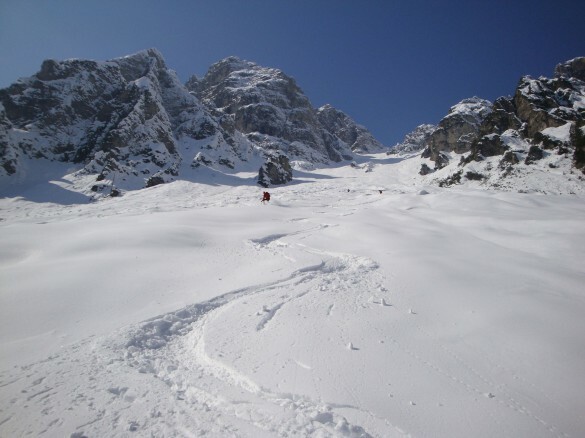 Challenge yourself on one of the most interesting and memorable backcountry and off-piste ski tours in Dolomites Italy. 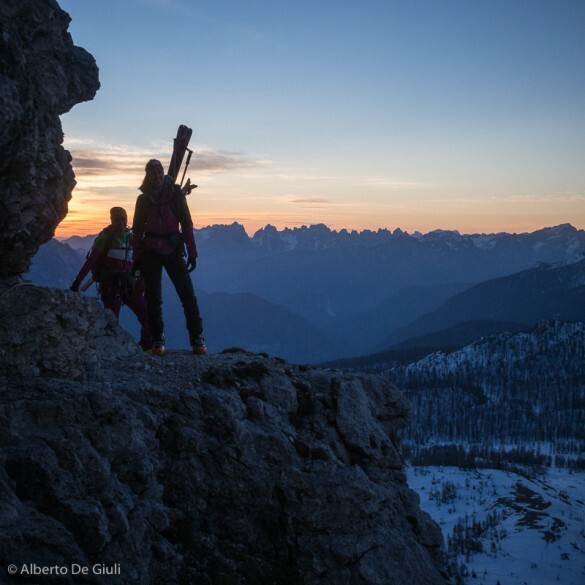 Traverse the incredibly beautiful Dolomite backcountry on skis! 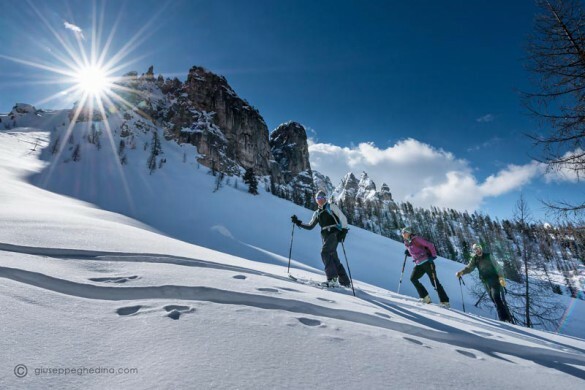 Backcountry ski touring in the Dolomites offers the best descents, far from the crowds! Love to ski? But don’t relish sharing the slopes with the crowds? 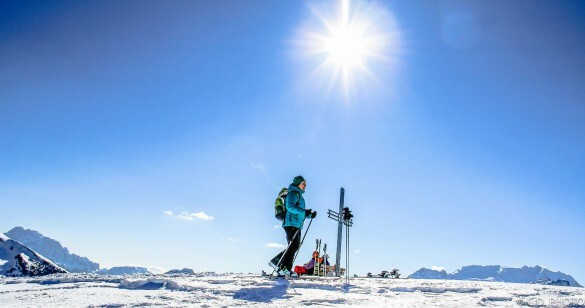 On a backcountry ski tour with Dolomite Mountains you’ll enjoy fresh tracks on incredible backcountry terrain, far from the crowds and lift-serviced pistes. 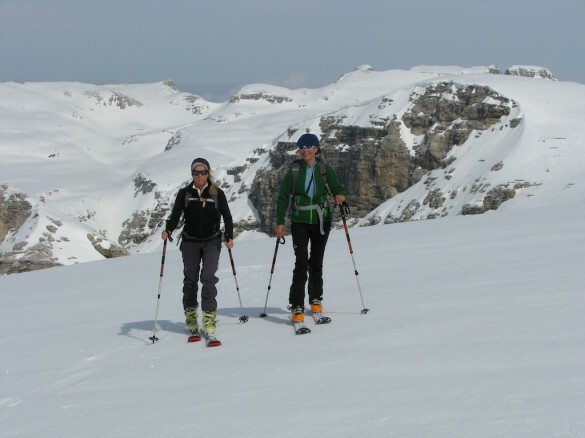 Each day you'll set out with your UIAGM/IFMGA Mountain Ski Guide to ski the best snow and off-piste terrain, skinning up and skiing down pristine backcountry mountain peaks and valleys beyond the reach of the resorts. While we’ll leverage the resort lifts to gain elevation, you’ll hike and don climbing skins to get to the incredible descents and couloirs that are not accessible using just lifts. 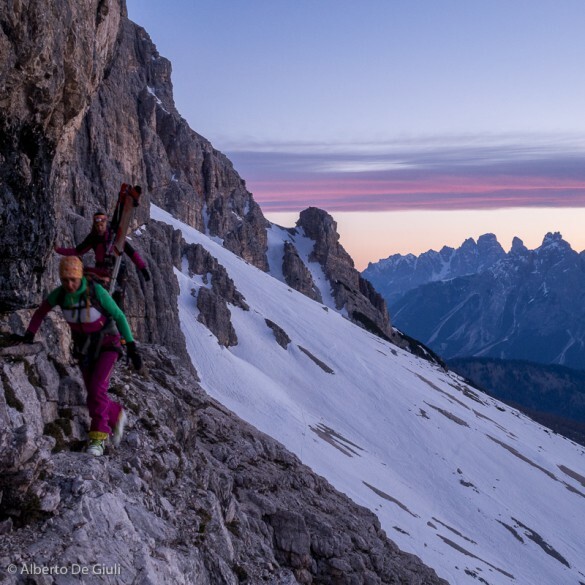 A little work, yes, but we think you’ll agree your uphill efforts were well spent as you enjoy the long runs down remote valleys, dominated by the towering limestone cliffs that characterize the Dolomites! Backcountry ski through one of the most breathtaking mountain landscapes on earth! Experience the endless powder-filled terrain, sandwiched between towering peaks and high-mountain passes of the Alta Badia region of the Dolomite Mountains. Looking for a challenge? Join us on one of the most interesting and memorable backcountry and off-piste ski tours in the Dolomites. Follow Haute Routes, or Alta Via, as you hike, skin, and ski the dramatic hidden backcountry of Marmolada, Sella, and Val di Fassa, far from the crowds.